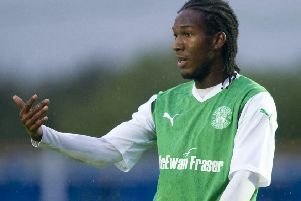 Craig Fowler: We’ve yet to see how Ryan Gauld fares back in the top flight of Scottish football and whether new signing Stephane Omeonga is ready to hit the ground running. For these reasons, I’d be reticent about backing Hibs away from home against most teams. Motherwell is not one of these. Saturday’s defeat to Ross County in the Scottish Cup has turned the pressure up on Stephen Robinson. The manager doesn’t know his best team, the new signings haven’t made an immediate impact and those there previously are very low on confidence. 1-0 Hibs. Joel Sked: Not the ideal first league game back for the Hibees. However, it could have been a lot worse. Neil Lennon’s side come into the game after a positive cup result whereas Motherwell are in a peculiar situation. They are not yet in the relegation battle but too far from the top six conversation, while they are out of the Scottish Cup. There’s not a good feeling around the fanbase at the moment and an early goal for Hibs would ramp up the pressure. Ryan Gauld has added real positivity to the side and if he continues to click with Florian Kamberi the team can start making inroads to St Johnstone in sixth. Hibs to win narrowly. Patrick McPartlin: Motherwell reached both cup finals last season but have struggled to set the heather alight this term. The Steelmen have won just twice at home on league duty and new arrivals of Gboly Ariyibi and Ross McCormack are still settling in. Saturday’s Scottish Cup exit at home to Championship side Ross County won’t have done much for morale at Fir Park and with Hibs on a bit of a high after a dominant performance over Elgin City and the signings of Ryan Gauld and Stephane Omeonga, Neil Lennon’s side look the better bet to take the three points. Prediction: Hibs win. Mark Atkinson: It’s hard to read too much into Hibs’ win at the weekend given that the opposition were lowly Elgin City. Perhaps Motherwell’s tie with Ross County – one that they lost, to two goals from Brian Graham no less – is a bigger clue as to how this one will go. Hibs have done well against the Steelmen in recent times and will Daryl Horgan hitting form and the addition of Ryan Gauld in midfield, I think they’ll get the better of Stephen Robinson’s strugglers. Anthony Brown: The arrivals of Ryan Gauld and Stephane Omeonga plus news of Scott Allan’s pre-contract signing and a routine victory over Elgin City have all contrived to improve the mood around Easter Road over the past fortnight following a gloomy period around the turn of the year. Although Hibs ended 2018 with a demoralising home defeat by Hearts, it is worth remembering that they were unbeaten in six prior to their derby setback. Their last two away games brought a win at Hamilton Accies and a well-deserved draw at Ibrox. While still some way short of the level they want to be at, if Gauld, Daryl Horgan and Florian Kamberi all turn up in tandem, they should leave Fir Park with all three points. Prediction: Hibs win. Neil McGlade: Motherwell’s dismal home record was underlined by their defeat to Ross County in the cup at the weekend. Stephen Robinson’s men are low on confidence, and have been for some time. This is something Hibs should look to exploit. Victory over Elgin City isn’t likely to have set pulses racing but it was important the Easter Road side got back to winning ways following a disappointing end to 2018. They can head to Fir Park in confident mood, boosted by the arrival of Stephane Omeonga, who will add some steel and energy to an ever-improving midfield. Prediction: Hibs win.